Capture the history of boating with the Beken of Cows print series from Eichholtz. 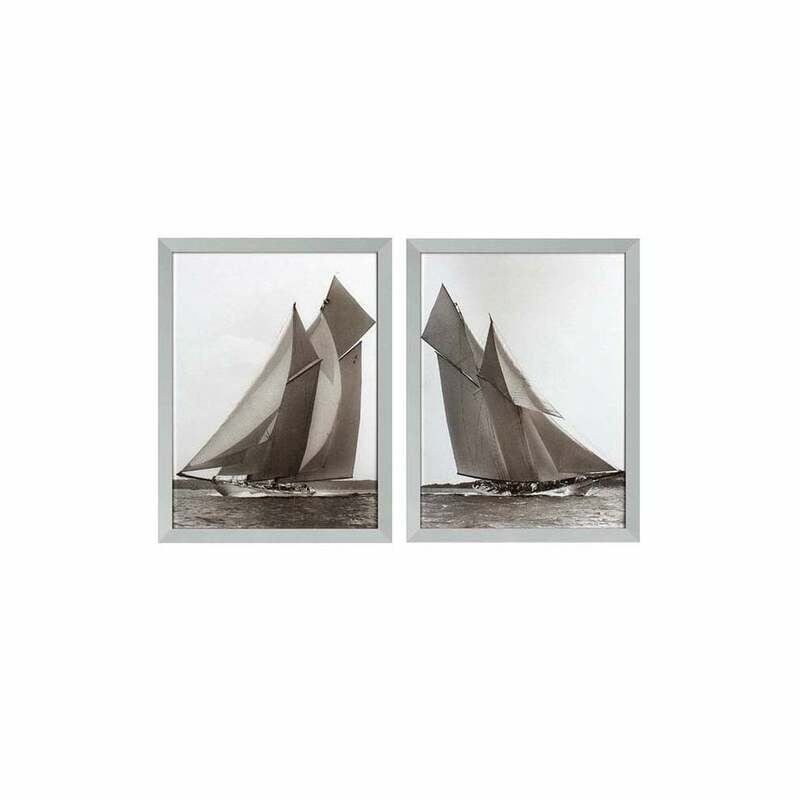 Sail away with this beautiful wall set including two images of sailing boats in sepia tones. The silken print set features two sailing boats on the ocean with open sails fluttering in the wind. Each print is beautifully set in a wooden frame with glass panel revealing the vintage inspired prints beneath. Create a nautical theme in your living space by including these historical sailing prints. Owing to the neutral colouring and classic design details the prints could be used in a variety of living spaces from dining room, bedroom or lounge.